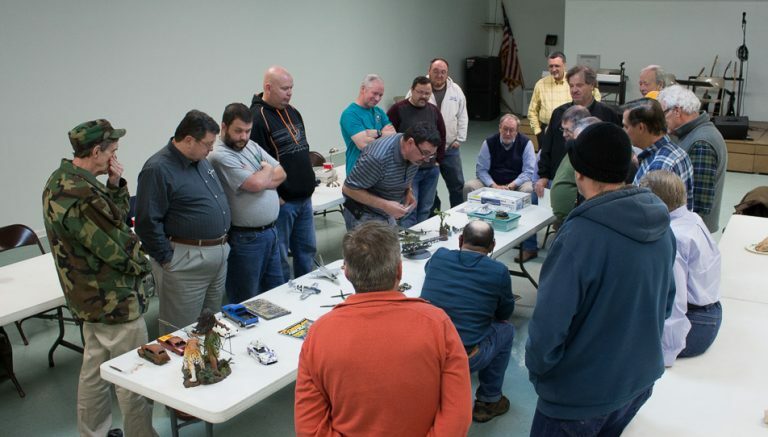 IPMS Charlotte Scale Modelers is a chapter of the International Plastic Modelers Society (IPMS) - USA, a non-profit organization dedicated to the advancement of all aspects of scale modeling. We are a diverse group of people united by a common hobby. We take our modeling seriously, but we keep things light and have some fun - that's what recreation is all about! We cover a full spectrum of scale modeling including aircraft, automobiles, science fiction, figures and we enjoy sharing the hobby with fellow modelers. We meet the 1st Friday of every month in the Munday Hall of Memorial United Methodist Church. The church address is 4012 Central Ave, Charlotte, NC 28205. You can find directions from the map below. Just enter the driveway the left of the church and follow it around to the back of the church where you will find the Munday Hall building. We start with an optional light dinner at 7 PM, and the meeting begins around 7:30. We discuss club business as needed, continue with a "show and tell" session, and finish off with an opportunity to talk models and socialize. We have an active group with a range of modeling experience from beginner to old pros. Everyone is welcome no matter their skill level or modeling preferences. So if you like to talk scale modeling and don't mind some light-hearted humor then you will fit right in with our group. Care to see us in action? Then come to one of our meetings. Here are our current members. Click on a members image to visit their profile page. 2019 © Charlotte Scale Modelers. Crafted with love by SiteOrigin.